The aspect of art-making I like the least is matting and framing. It’s a tedious job that I’ve been doing far too much of lately. 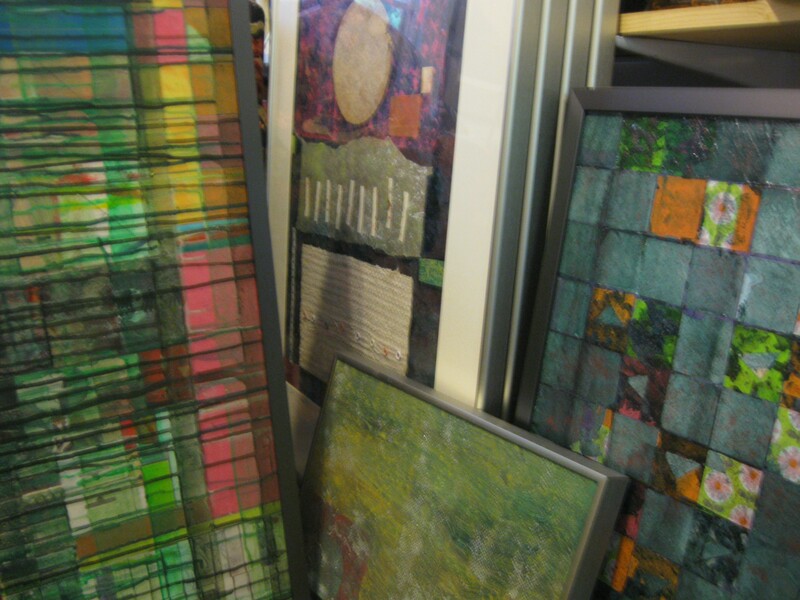 First, there were things to get ready for gallery openings in June. Then there was the Beaver Island Museum Week Art Show in July. Now, coming up on Saturday, the second of August, Livingstone Studio is hosting their “Meet the Artists” event. It is always a fun day, with artists and art-lovers and curious on-lookers all mingling to enjoy good food, nice wine and wonderful musicians. Sometimes we even stop to discuss the art! Between the Museum Week show and this event, though, I am sick to death of the finish work! I’m putting it all away, now. I think I may just close the studio door for the rest of the summer. I’ll pull out my sketch book, and let that be enough. Still, I have to admit, it is nice to see all my “companions” dressed up for their show!